The educational company Kumon does a wonderful set of puzzles for kids. It starts with step one puzzles like this. 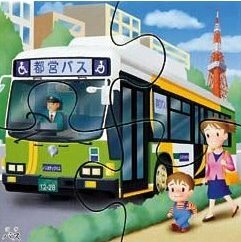 This puzzle is a basic step one puzzle for children around 18 months. But there are more in this series that Kumon produce. Click here to see step 4. This puzzle suits an age range of about 3 years.